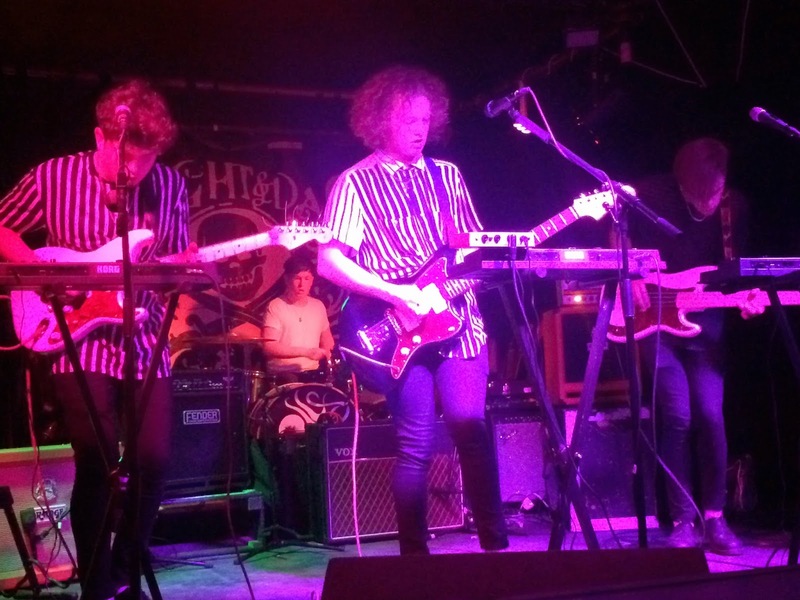 Clay headlined the latest This Feeling night at Manchester's Night and Day Cafe. 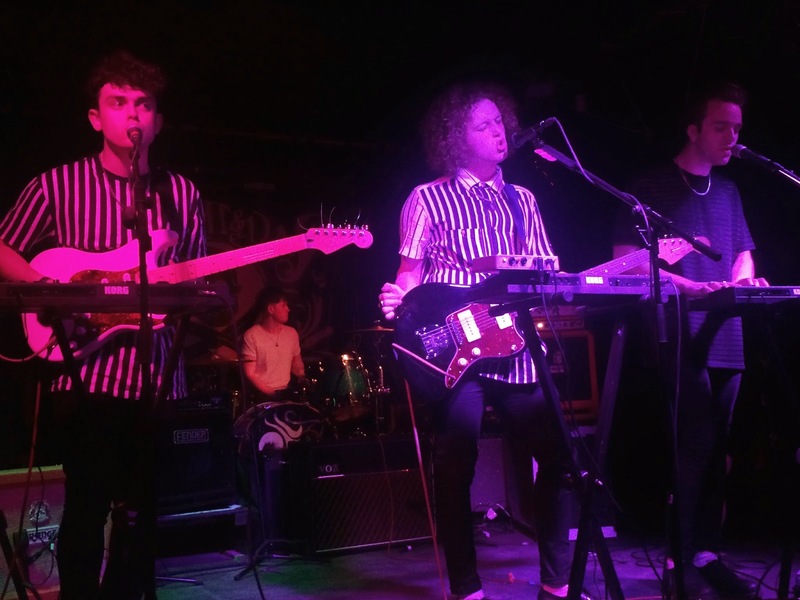 With a strong following back in their hometown of Leeds and a sold-out night at the Leeds version of the popular club night on the Friday evening, we nipped in to check them out and were hugely impressed by their fresh, lively and energetic sound. Clay's approach to their songs is a three-pronged one. Three of the band line up at the front and share vocal duties, whether it be swapping lead on songs or one taking the lead and the others harmonising and it works brilliantly in them generating seven songs that each have their own personality and life even on first listen. 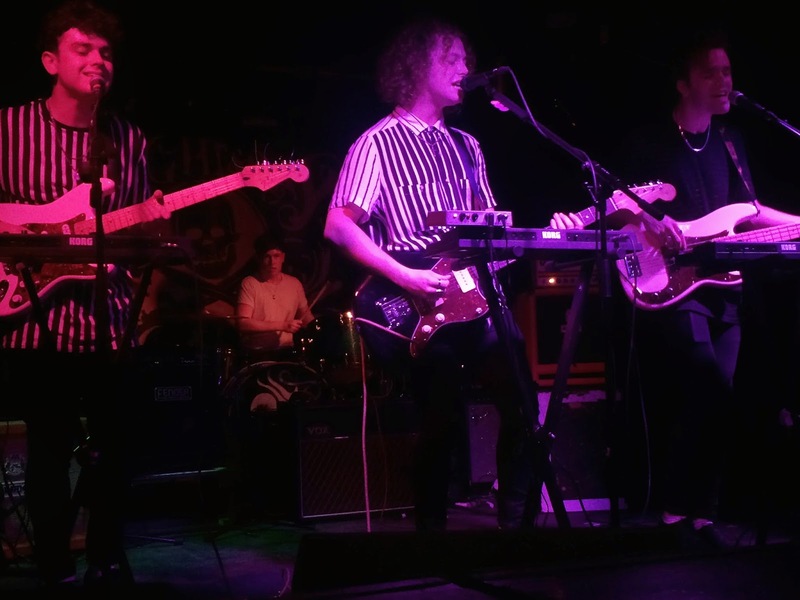 There's an amiability to them too, joking that they might not be too popular round these parts because of their Leeds connections and they already have that feeling that they're naturals up there rather than still learning their craft. They don't hang around either. For a headliner, their set clocks in at less than twenty five minutes, but it's clear that they're focusing on quality rather than quantity and not taking the easy route so many bands starting off take which involves throwing in covers of songs they'll never recreate. From the opening Cream it's evident that they've got a knack of writing songs that grab your attention and hold it - they possess all the pre-requisites of great hooks, a few sing-along choruses and the ability to not sound like they're regurgitating their favourite records. They close with Sun Dance, which is the only track they've released to their Soundcloud so far, but at which point we're already sufficiently impressed to want to check them out more. They're not the finished article by any means, but there's plenty of potential here, and like Blossoms in the past twelve months, it'll be interesting to watch and hear them develop.